This is my favorite time of year. Once I accept the inevitable shortening of days, I love how the season slowly downshifts from the intensity of summer to a gentle ripening of autumn. I love that cozy sense of tucking in and preparing for the long winter ahead. 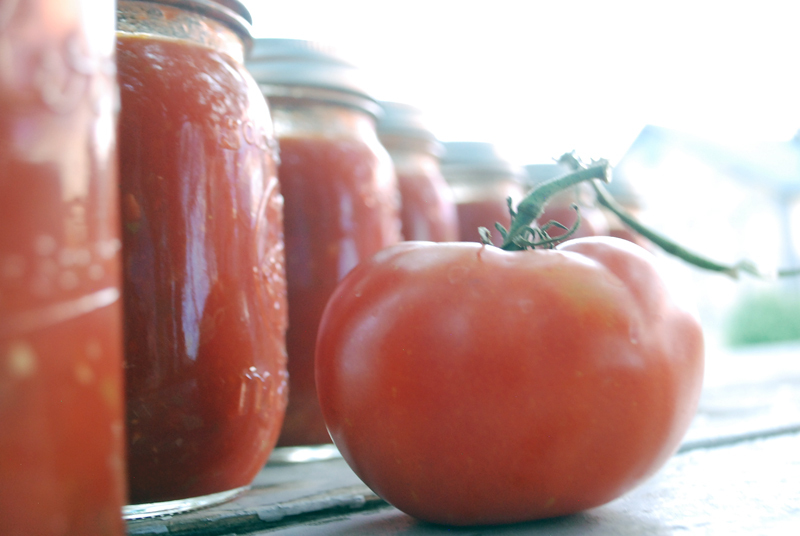 So, yes, I’m in the midst of canning tomatoes (there are tomatoes ev-er-y-where in our house). I’m also thinking about business. I’ve been planning next year’s goals and wondering if there’s anything I should do now so they’re ready to implement come January. Here’s one thing I’m contemplating: an e-Newsletter. Ilise Benun, of Marketing Mentor, swears by them. Since I’m overflowing with helpful marketing and communication morsels—things like “6 ways to get your newsletter read” or “10 reasons a blog will increase your business”—maybe I should share them. So, what do you think? Would you be interested in receiving a monthly email with helpful, newsy tidbits? Add your email to my list and come January when it’s cold and windy, I’ll send a nice, summery surprise (kind of like opening one of these jars of fresh, savory spaghetti sauce). And what about you? What marketing plans do you have for your business next year? Is there anything you need to do now so you’re ready to go in January? Like, what about an updated logo? Or a customized blog? Or a header for that e-Newsletter you’ve now decided to start? Give it some thought and drop me a line. But don’t wait too long—those cold winds will blow soon enough!